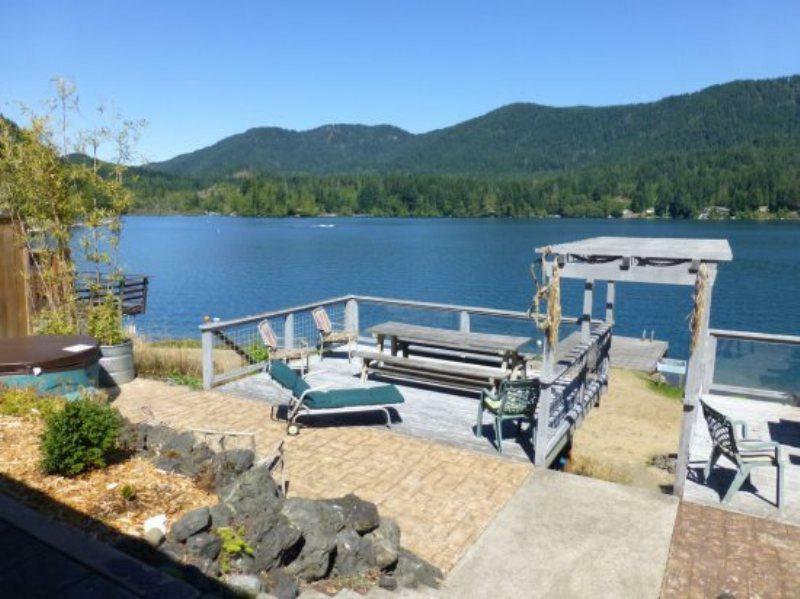 Come get away at this relaxing lakefront cottage, located on beautiful Lake Sutherland, in the heart of the North Olympic Peninsula. 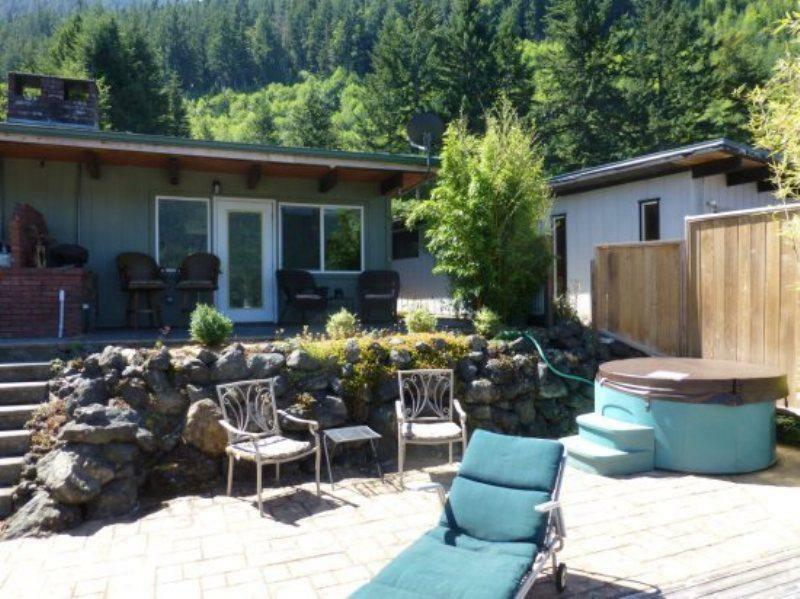 Madrona Cottage is one of two bungalow duplex units, each with its own patio area, hot tub, and lakefront deck with picnic table. 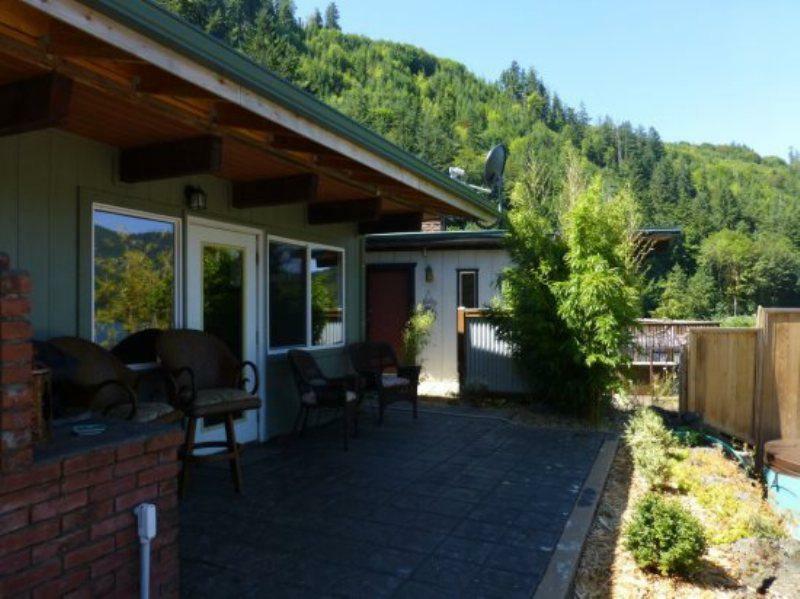 It is the perfect retreat for a few days of fishing, hiking, swimming, exploring, or just relaxing surrounded by beautiful views. 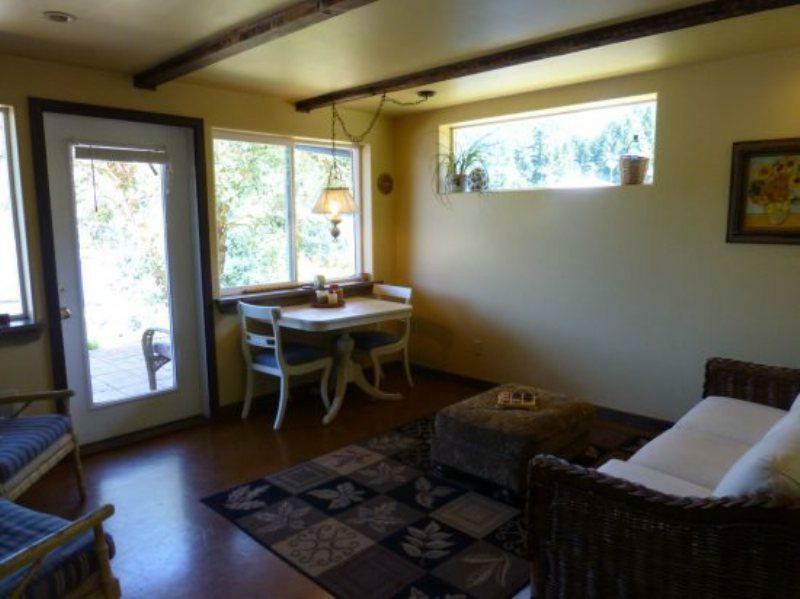 Madrona Cottage has 1 bedroom with a double-sized bed, 1 bathroom with toilet, sink and a shower stall, plus an open concept kitchen and living room area. A double-sized pull-out sofa in the living room, offers additional sleeping space. 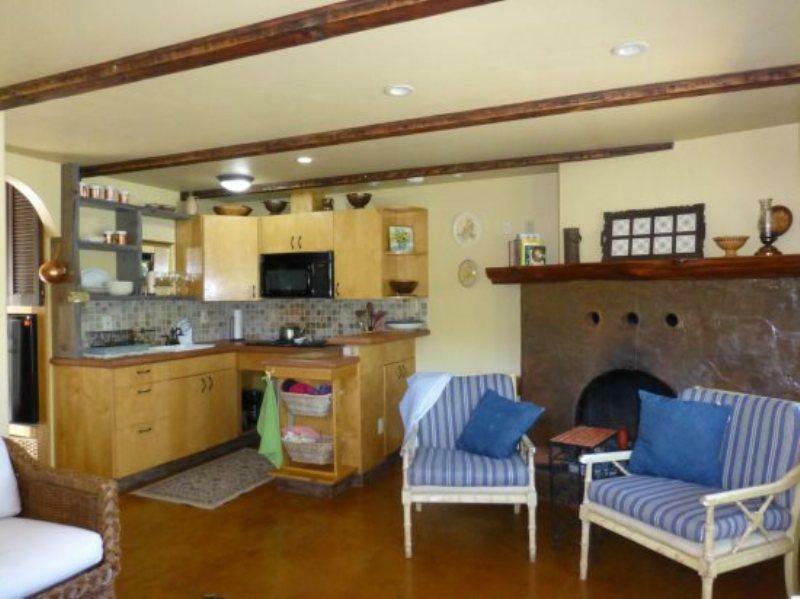 This property sleeps 4 comfortably. Bring your boats or jet skis with you. 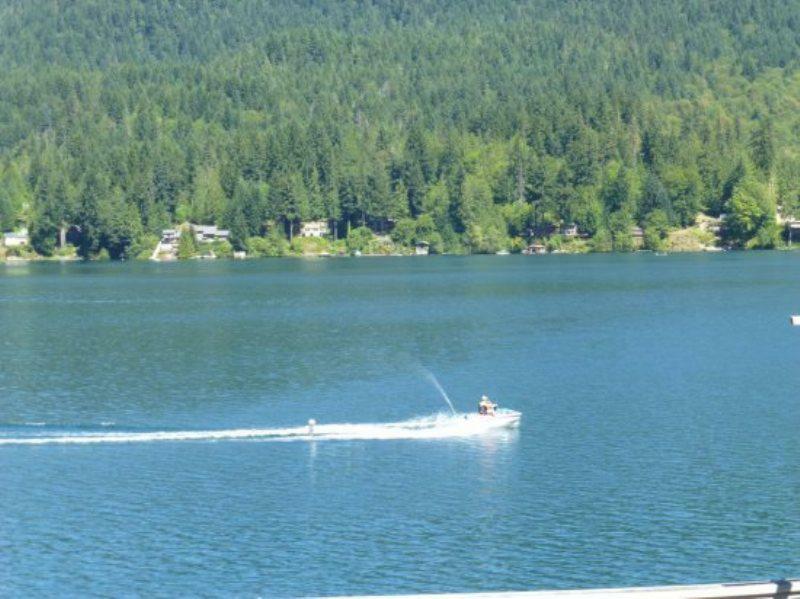 Lake Sutherland is one of the few lakes here that allow motor boats. 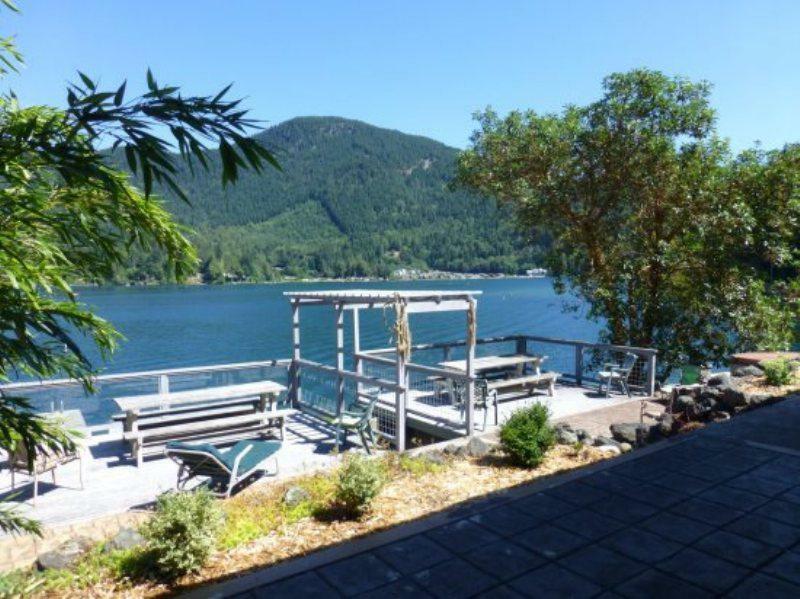 There is a public boat launch entrance just about 90 feet before you arrive at the private community that Madrona Cottage is in. The community has a private mooring dock where you can tie up your boat (first come first serve.) 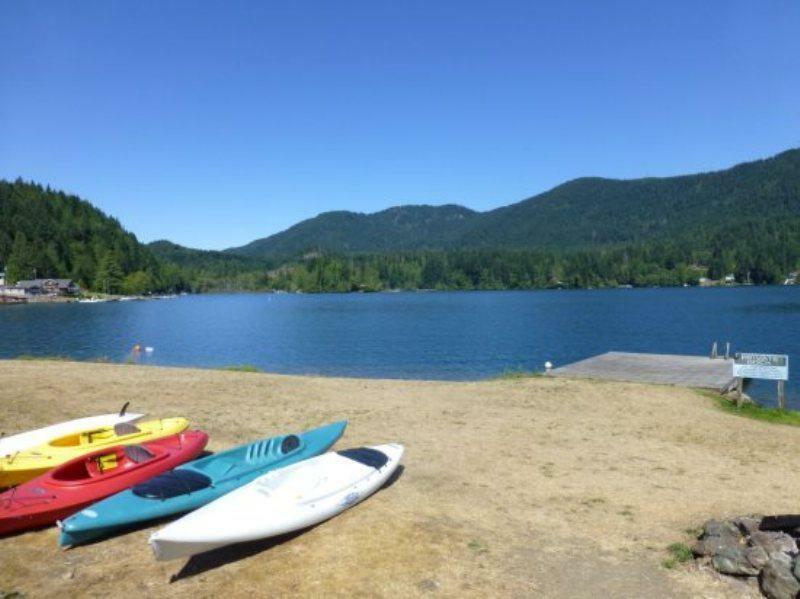 There are two kayaks and life vests of various sizes. Please note that all water activities are at your own risk. 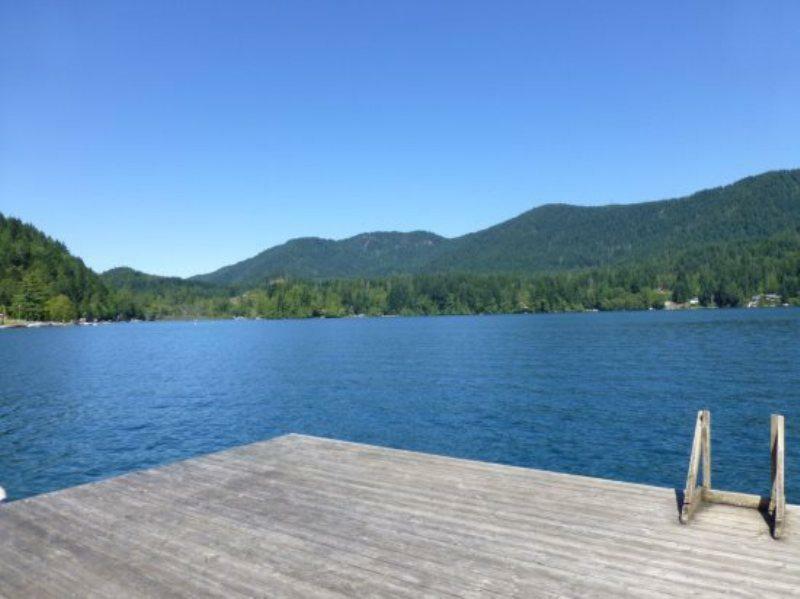 Directly in front of the cottage, on the lake, is the community swim dock. Please keep motorized vehicles away from this area. 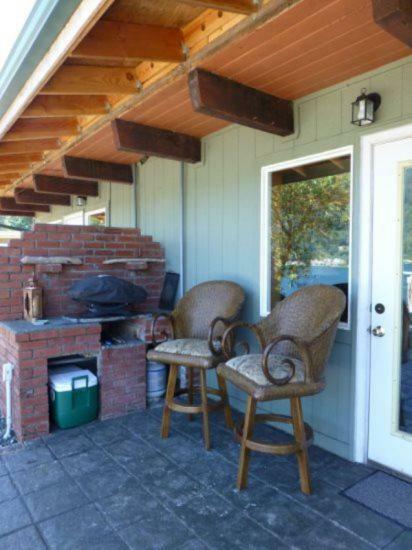 There is a gas grill on the patio, perfect for grilling your favorites. Also provided for your use, is a large chest freezer that you will find at the front of the cottages, between the two units. 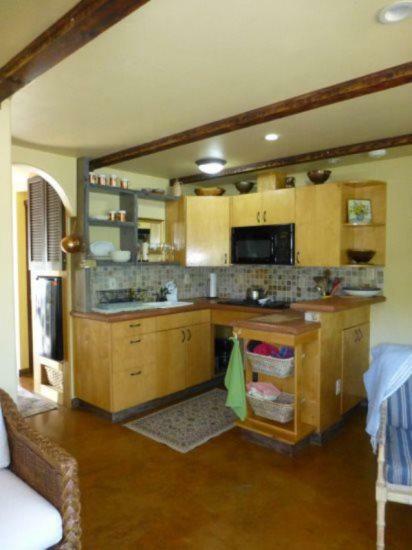 There is ice for guests and each unit has a shelf for favorite frozen treats or other groceries needing to be on ice. 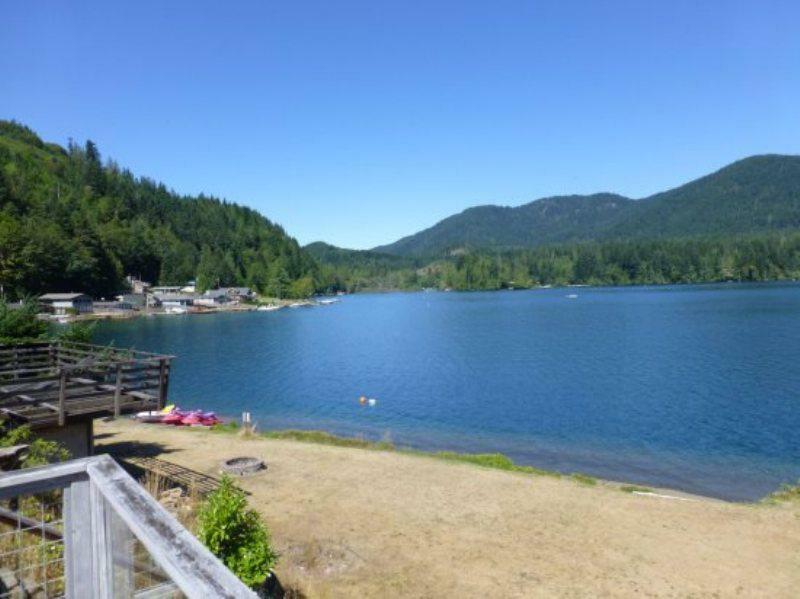 The surrounding area is quite rural, so if you are arriving late, you may want to stop in Port Angeles for a bite to eat and any other groceries you might want. 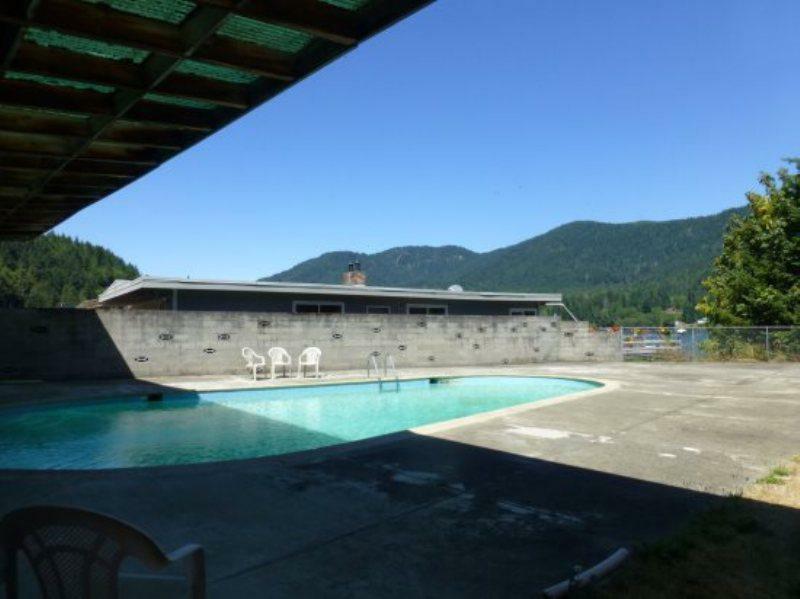 Once you leave Port Angeles, on the way to Madrona Cottage, you may also plan to visit at a couple of our local wineries. 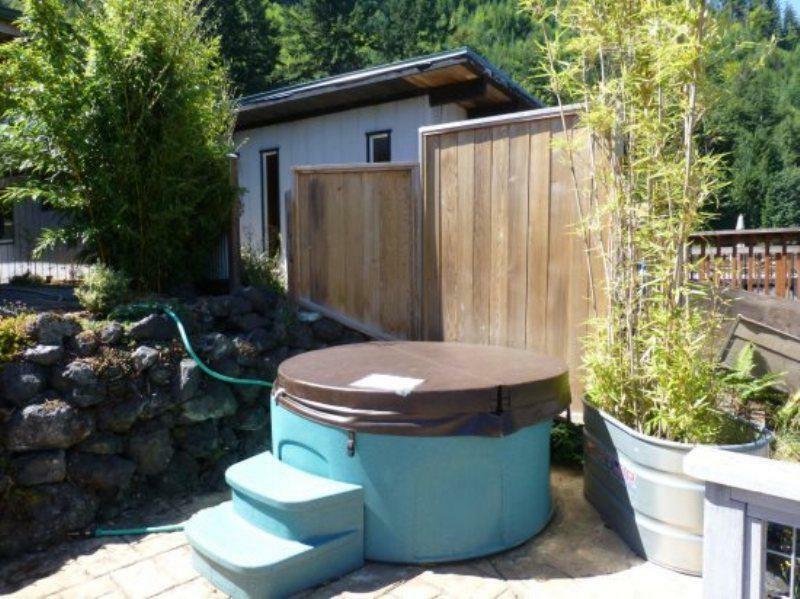 Located only a mile from each other, these two local wineries are just roughly 15 minutes away from Madrona Cottage. Harbinger is the most Northwestern winery in the continental United States. Passionate about wine, they offer tastings Mondays through Saturdays, 11 am to 6 pm, except major holidays. Our other local winery, Camaraderie Cellars has beautiful gardens, a picnic area and tasting rooms. Camaraderie Cellars offers live music and wine tastings each Sunday. 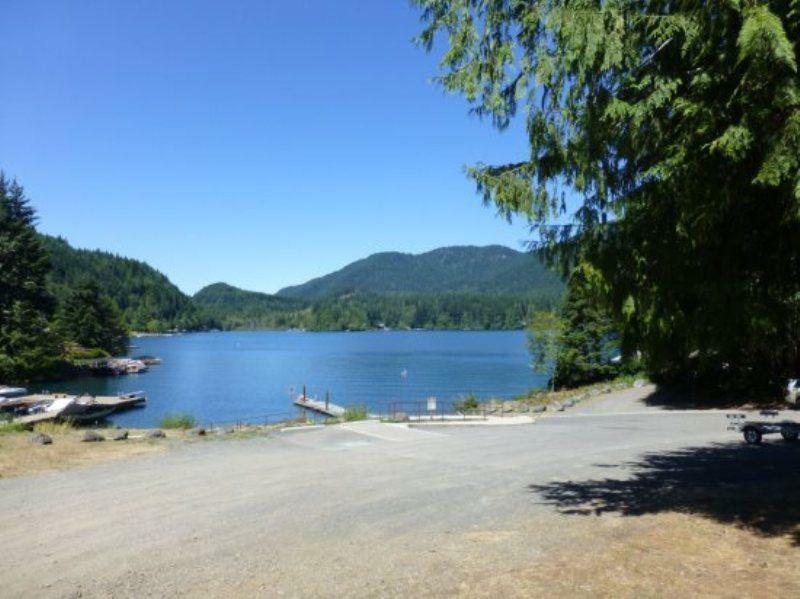 Once you arrive at Madrona Cottage and this wonderful lakefront community, you might not want to leave!